This programme provides the basic knowledge and skills required to get started in the forestry industry. You’ll learn basic skills in either harvesting (including chainsaw skills and maintenance), or silviculture, from chainsaw skills to plantation forest establishment and pruning. You’ll also be able to carry out basic first aid, and learn how worker performance is affected by a range of factors. Demonstrate knowledge of industry regulations according to the approved code of practice. This qualification can lead to the New Zealand Certificate in Forestry Operations (Level 3) or New Zealand Certificate in Forest Harvesting Operations (Level 3). Holders of this qualification will be equipped to work in entry-level roles in a forestry or harvesting operation. They could be employed as planters, pruners, breaker-outs or manual processors. Students will be expected to participate in drugs testing, as this is a requirement by the forestry industry. The safety of the forestry worker and making sure they go home at the end of the day, is premium. After 20 years in forestry, I’m now tutoring level 3 and 4 NorthTec forestry guys out in the field, so I make sure I promote the health and safety aspects. The best thing about the courses is that we learn totally on the job with the tutor when he comes on site. Nick Noble was already working as a breaker-out and skid worker in the forestry industry when his employer organised a group training for some of his crew. Nick did an entry-level course before starting on his forestry training and was surprised by how much he enjoyed the process of learning. “We learned things like how to splice steel rope and how to work out safe working loads and tensions, so it was directly relevant to what we are doing every day. The tutor was patient and explained things in a way that was easy to understand. 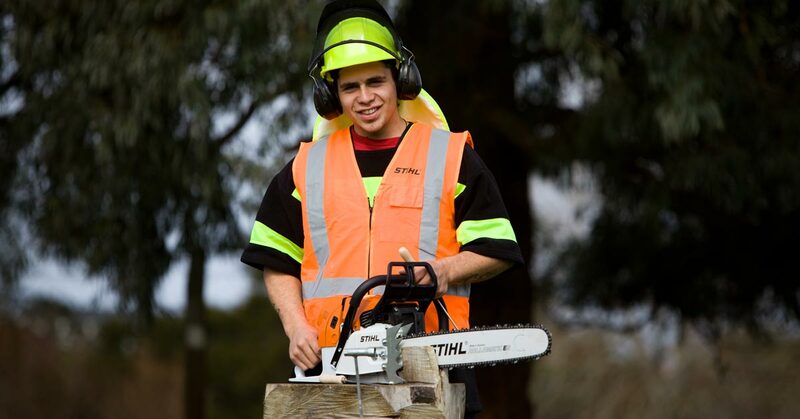 Studying forestry at NorthTec has widened career horizons for Trevor. He’s pleased to have been able to take a break from being in the kitchen as a chef, and the forestry course ticked all the boxes for him. Trevor is back in the kitchen now for the time being, but loves having an outdoor work option up his sleeve, and one that can take him overseas. Forestry workers who took part in a special graduation ceremony at NorthTec learned that there are no barriers to continued learning – especially age. Fifteen men graduated at a special ceremony at NorthTec, thanks to a successful partnership between the Polytechnic and a Whangarei-based forestry contracting company.